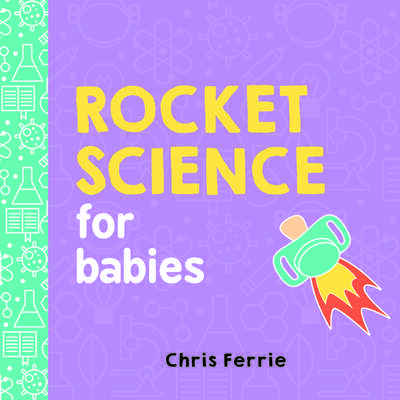 Rocket Science for Babies by Chris Ferrie is an introduction to aerospace engineering (also known as rocket science). Baby will learn the principles of lift and thrust, the forces responsible for flight. This is the first in a series of books designed to stimulate your baby and introduce them to the world of science.